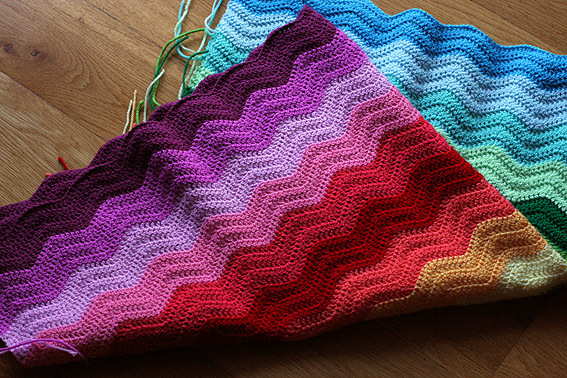 This rainbow ripple has been put aside for a few weeks while I work on more urgent projects. Click here to see another ripple from Lucy at Attic24. wow,that is awesome.beautiful colors! !what type of yarn did you use?? ?